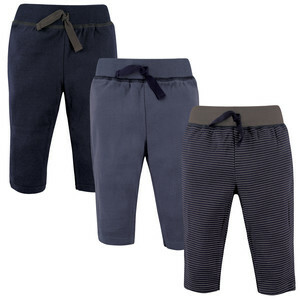 Hudson Baby Super Soft 100% Cotton Track Pants for babies are a great addition to your baby's wardrobe. These pants are basic enough to mix and match to make any outfit perfect! 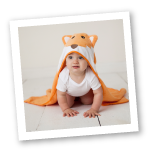 These adorable pants have a mock drawstring and elastic waist to easily pull on your little one. Made of 100% cotton, these pants are soft, comfortable and durable!